We will be creating the ILLUSION of space using pencil. 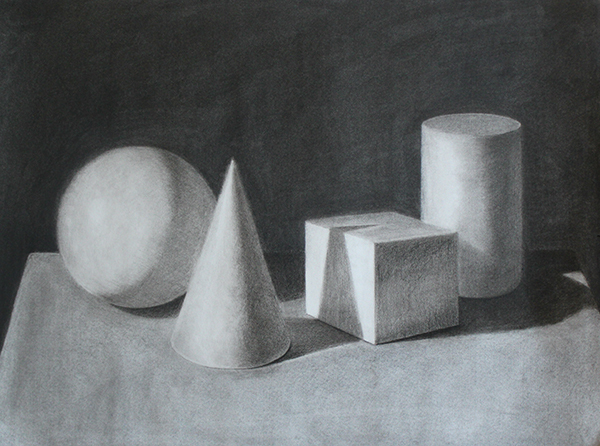 We will move on to graphite to learn how to shade and create the illusion of 3-dimensional forms. My favorite would be the third one because it has very clean lines and looks the most professional. My favorite is the third picture because the shading is good enough to where it looks like a real picture, not a drawing. My favorite is the third one because it looks the most realistic and has good shadows. My favorite picture is the third one because of how realistic the drawing looks and how exact the details are. 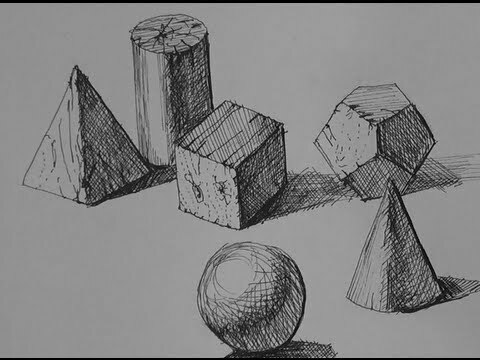 My favorites it the third one because of how real it looks and how you can't see the pencil marks and the cone's shadow on the cube really makes it realistic. 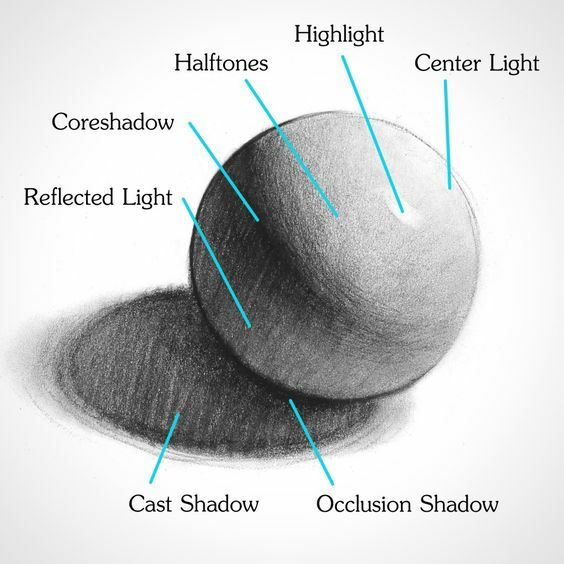 My favorite is the second picture because it shows names of all of the sections of a sphere and its shadow. My favorite is the third one because it is perfect and almost looks as if I were there. And the shading makes that shapes look like they are real. My favorite one is the third one because it is realistic enough without being photo realistic. My favorite one is the third one because of how well it is shown. Who is this? I can't give you credit if you don't sign your name. My favorite is the first one because it shows the normal shapes and basic ones and it show how much different it is. My favorite is the first one because you can see the difference between 3-d shapes and 2 dimmensional. my favorite is the third because of how well done their shading was. the shading makes it almost look realistic.